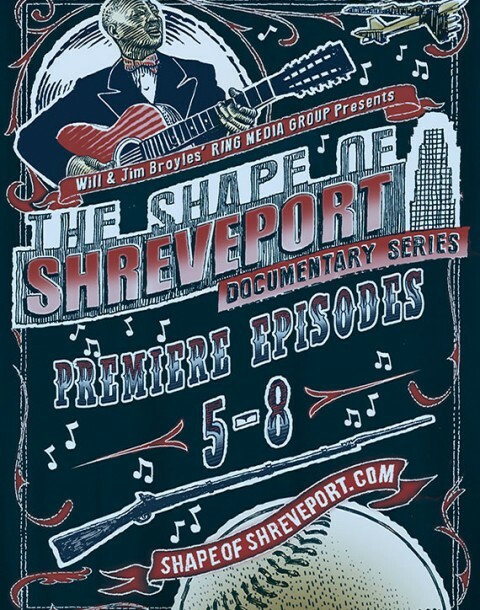 Category: Shreveport. Tags: flag, shreveport. 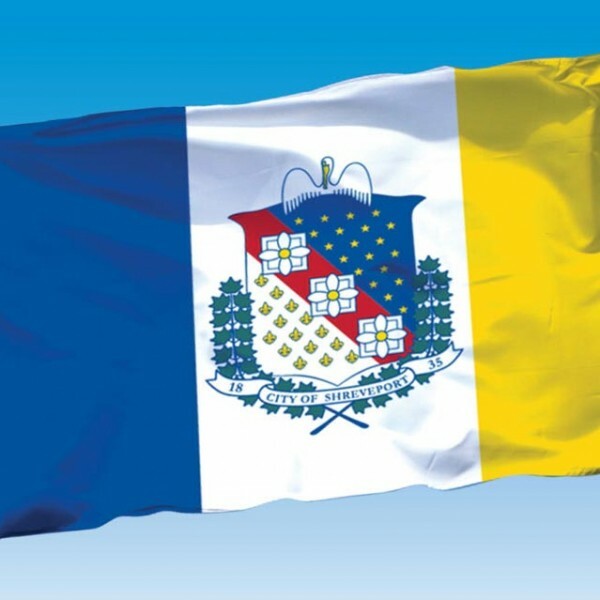 The Shreveport Flag is back! 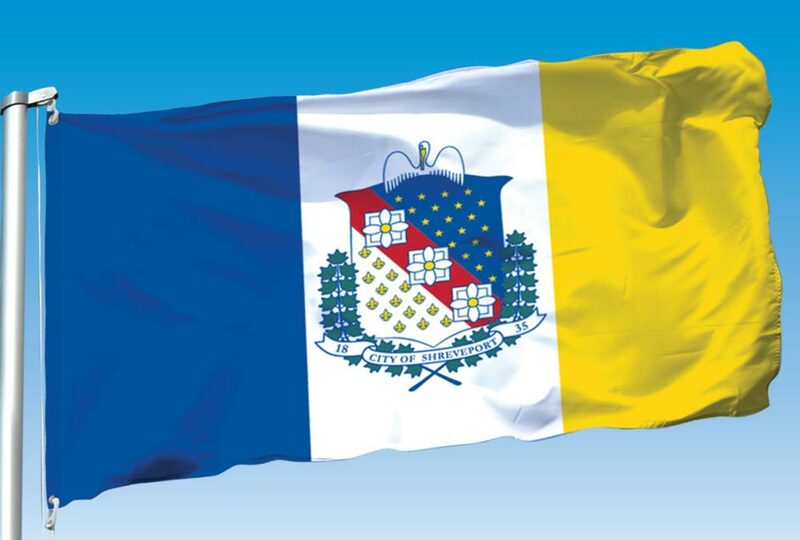 The flag is divided into three sections, much like the French tricolor, except for its color scheme. At the hoist is a vertical bar of deep French blue, in the center is one of white, the outermost bar (the fly) is gold. In the center of the white central bar is a shield. This shield is divided into three diagonal sections, the upper right being French blue overlaid with 18 gold stars (Louisiana being the 18th state); the central section is a red diagonal stripe overlaid with three stylized magnolia blossoms (the state flower; the three blossoms symbolize the tri-state area known as the Ark-La-Tex, of which Shreveport is the economic center); the lower left-hand section is white, overlaid with 14 blue cones, a device borrowed from the Shreve family coat of arms. At the top is a pelican and below is a wreath of cotton leaves.